The Wollemi pine which was found in Australia’ Blue Mountains. Any time someone finds a ‘living fossil’ (a creature alive and practically unchanged from its fossil representatives) this supports the creation model by showing that things either have not evolved (despite the alleged vast ages separating the fossil from its living representative), or the vast ages are not real—or both. The discovery of a living dinosaur would, however, be of even more interest. Not only would it be a living fossil (like the hundreds documented by Dr Joachim Scheven, see Living Fossils), but its embarrassment to evolutionists would also be because no dinosaurs have been found in rocks which they date as ‘younger’ than about 65 million years. Hence they have confidently declared that the last dinosaur died out millions of years before man appeared. Professor Carrick Chambers, Director of the Royal Botanic Gardens in Sydney, has said of the sensational discovery of a type of tree in Australia’s Blue Mountains (200 kilometres west of Sydney, in Wollemi National Park) that it was like finding a ‘live dinosaur’. 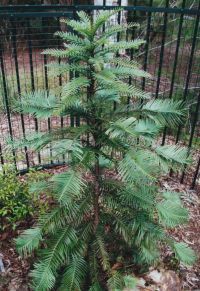 This is because the tree, nicknamed the Wollemi pine, is known from fossils classed as so-called Jurassic age around 150 million years ago, but not from fossils in rocks of later periods. Just as with the living coelacanth fish, this is a finding surprising to evolutionary science, but in accord with the creation model. ‘Jurassic’ fossils are either of creatures still known today, or of those which have since gone extinct. There has been no significant evolutionary change, and as the time of catastrophic fossilization was thousands of years ago, not millions, it is not surprising that some creatures previously thought to be extinct turn out still to be thriving. Because the intervening rock layers do not represent vast ages, it is also not surprising that a ‘Jurassic’ creature can be found alive with no fossils of it in the ‘intervening’ rocks. Authorities are trying to propagate this ‘dinosaur tree’ from tissue culture, in the expectation that the mystical appeal of having ‘something from the dinosaur age’ growing in one’s garden will ensure that it is a hot seller. If this happens, creationists need to be ready to remind people that these trees are very much from the present, not the past, and that their very existence actually casts doubt on the whole concept of a ‘dinosaur age’. 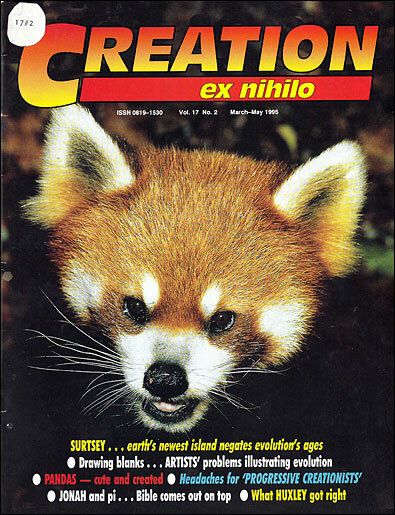 New Scientist, December 24-31, 1994 (p. 5). The Sydney Morning Herald, December 14, 1994 (pp.1, 8). The Courier-Mail (Brisbane), December 15, 1994 (p. 3). The Advertiser (Adelaide), December 15, 1994 (p. 30). The tree appears to resemble very closely fossils of the Araucariodies genus (not known in post-Jurassic rocks) of the family Araucariaceae (which includes the hoop pine, bunya pine, Norfolk Island pine, Chilean monkey puzzle, and the New Zealand kauri). The New Scientist report states that botanists ‘have no idea where the bizarre-looking tree fits into the evolution of pine trees’. One palaeobotanist disputes that it is a living fossil, saying it is ‘unique’. We have seen from pictures that the leaves are virtually identical to the ‘Jurassic’ fossil type, but forthcoming comparisons with the fossil cones will be of interest. Fossils in the wrong place?